Communist Chinese authorities are using “gait recognition” technology to identify Chinese civilians by the way that they walk. The new technology uses body shapes and movement to identify people even when their face is not in the camera. This dystopian big brother nightmare is quickly becoming a reality for the souls residing in the People’s Republic of China. Already used by police on the streets of Beijing and Shanghai, “gait recognition” is part of a push across China to develop artificial intelligence and data-driven surveillance that is raising concerns about how far the technology will go. The software, built by a Chinese artificial intelligence company called Watrix, extracts a person’s silhouette from video and analyses the silhouette’s movement to create a model of the way the person walks. It can identify people from 50 meters away and requires no special camera to do so. 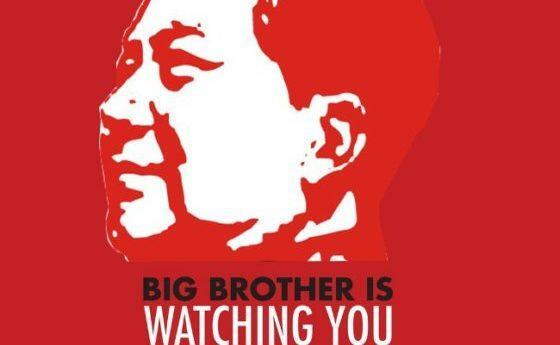 China is building a digital dictatorship to exert control over its 1.4 billion citizens. As if the “social credit” scoring system wasn’t terrifying enough, the country continues to cross the line with surveilling its own people. “Gait analysis can’t be fooled by simply limping, walking with splayed feet or hunching over, because we’re analyzing all the features of an entire body,” said Watrix chief executive officer Huang Yongzhen. “You don’t need people’s cooperation for us to be able to recognize their identity,” Huang added. Huang is a former researcher and quite obviously an authoritarian control freak who said he left academia after seeing how promising the technology had become. He then co-founded Watrix in 2016, and his company was incubated by the Chinese Academy of Sciences. Though the software isn’t as good as facial recognition, Huang said its 94 percent accuracy rate is good enough for commercial use. But not everyone is excited about being tracked and monitored while minding their own business. Shi Shusi, a Chinese columnist and commentator, said it was unsurprising the technology was catching on in China faster than the rest of the world because of Beijing’s obsession and emphasis on social control. “Using biometric recognition to maintain social stability and manage society is an unstoppable trend,” he said.